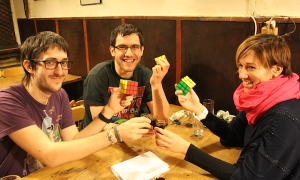 Ever wondered how to solve the crazy Hungarian brain-twister, the Rubik’s cube? Amaze your friends with your new skills after joining this crash course on solving the cube or learning some cool games with the original Hungarian playing cards, also known as Tell cards. It is the best way to experience a night out if you want something more authentic than a pub crawl. 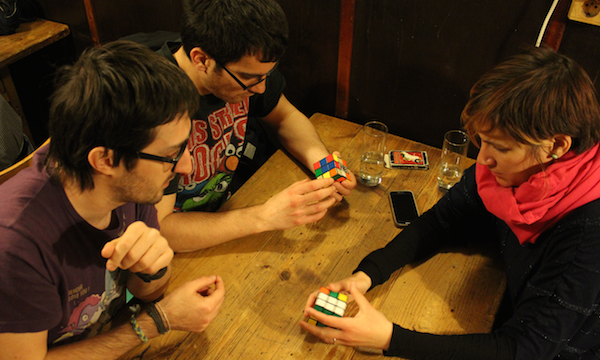 You can choose between the cube and the cards – for the latter we will give you a set of cards to take home, so you can teach your friends and continue playing. 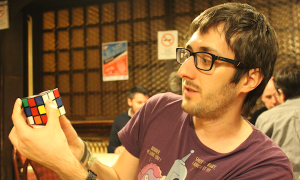 We will celebrate with a Hungarian shot while you can hear about its amazing story. 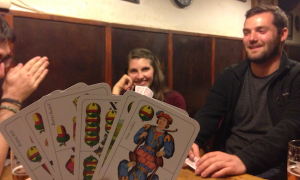 The course will take place in an authentic bar which has a significant role in the history of Tell cards. Price includes up to five beers or wine spritzers and an authentic Hungarian shot at the pub. Recommended starting time is at 7 p.m.